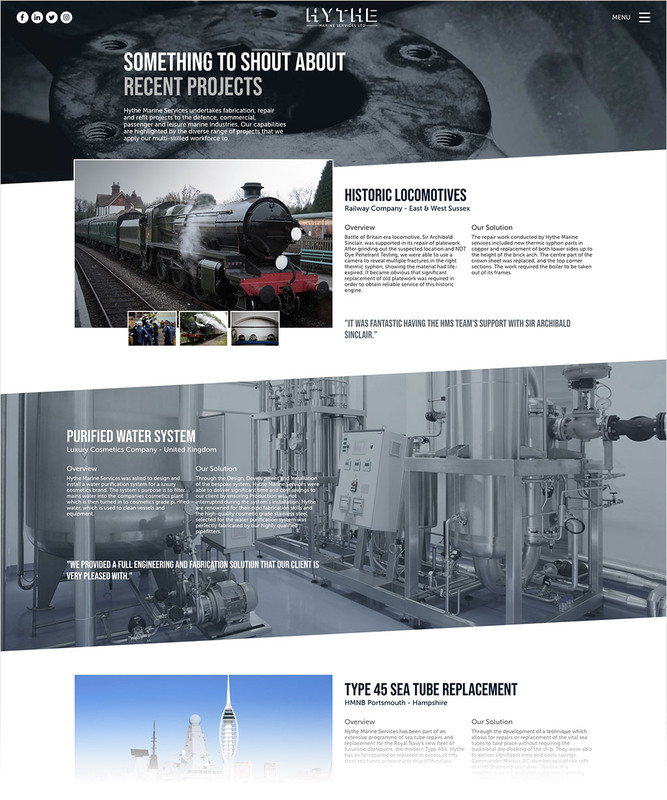 We built Hythe’s first website back in 2015, and the company has grown from strength to strength, providing metal working and specialist contractor work for the marine industry, based out of Portsmouth’s historic dockyard. As they’ve grown, their website and brand have developed to a point where a new site plus a suite of engaging imagery and video assets was needed. The site is highly visual, and is all about capturing the essence of this unique company. Hythe Marine Services’ premises is a living, breathing workshop, with some of the best metalworkers and specialist tradesmen in the industry on site. We wanted to showcase their skills, while embracing and celebrating what might commonly be considered ‘unappealing’ environments. • A slicker, more professional looking website. • Intimate photography and video to engage site visitors. • Reflect the highly skilled workforce. Hythe Marine Services have other branches to their business, which, like their parent brand, are going from strength to strength. Watch this space for forthcoming collaborative work.